Shelly and her hubby made these gorgeous crates to add a little extra storage to their house. I don't know anyone that couldn't use a little more storage in their home and who wouldn't want these gorgeous crates. So it is the best of both worlds. I love storage that doubles as decor instead of storage that has to be hidden from the guests. You can check out the DIY tutorial over at House of Smiths. 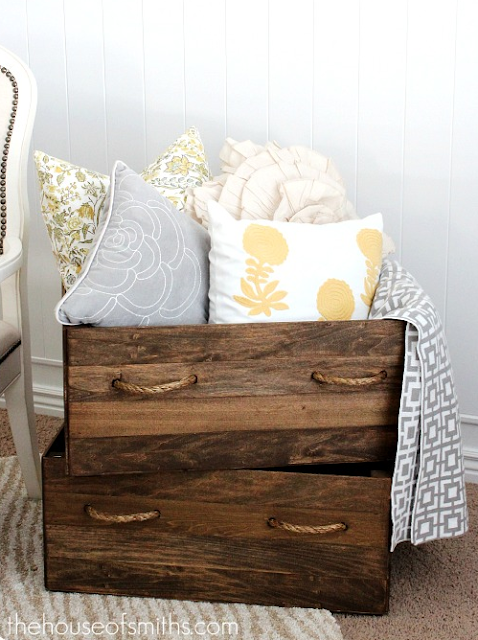 i completely agree about storage that can be decor - and these crates are perfect for that!